This accessible book comprises a collection of 80 tried-and-tested exercises, with guidelines for applying them and advice for devising new ones. Liesl Silverstone offers a variety of exercises for a diverse and multicultural client base and some examples of working with adults with learning difficulties and children. This accessible book comprises a collection of 80 tried-and-tested exercises, with guidelines for applying them and advice for devising new ones. Liesl Silverstone offers a variety of exercises for a diverse and multicultural client base, such as guided fantasies, one-to-one and group work focusing on the group dynamic, and some examples of working with adults with learning difficulties and children. 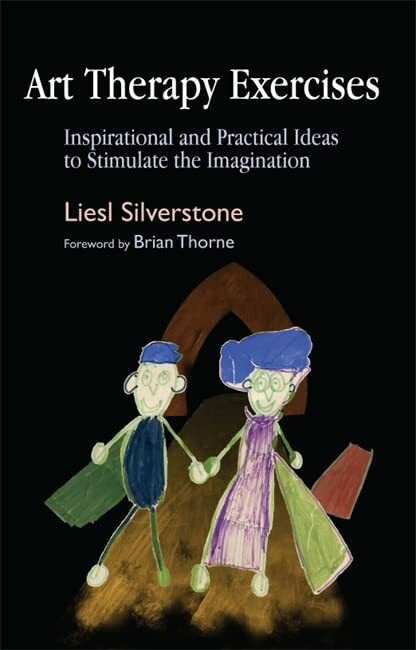 Focusing on the non-directive, non-interpretive person-centred approach to art therapy, this inspirational book is the perfect complement to Art Therapy - The Person-Centred Way, also by Liesl Silverstone and published by Jessica Kingsley Publishers. Art Therapy Exercises is an invaluable book for art therapists and art therapy students, counsellors, psychotherapists and all professionals working in the field of human development.